On Wednesday, Netflix purchased the rights to Sundance Film Festival Audience Winner film "Knock Down The House." The film followed four progressive candidates who challenged incumbents during the 2018 midterm elections. And the star of the documentary was none other than Rep. Alexandria Ocasio-Cortez (D-NY), the only candidate in the film who won her election bid. 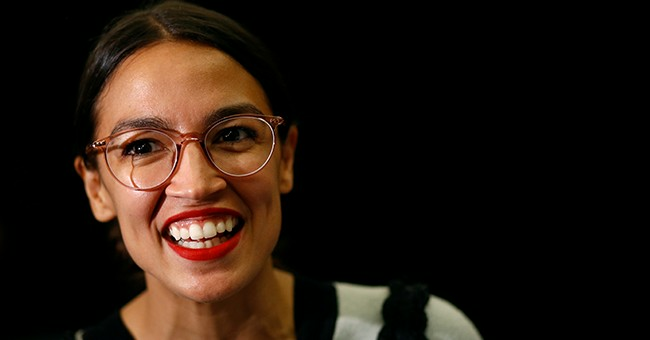 When tragedy struck her family in the midst of the financial crisis, Bronx-born Alexandria Ocasio-Cortez had to work double shifts in a restaurant to save her home from foreclosure. After losing a loved one to a preventable medical condition, Amy Vilela didn't know what to do with the anger she felt about America's broken health care system. Cori Bush was drawn into the streets when the police shooting of an unarmed black man brought protests and tanks into her neighborhood. Paula Jean Swearengin was fed up with watching her friends and family suffer and die from the environmental effects of the coal industry. At a moment of historic volatility in American politics, Knock Down the House follows these four women as they decide to fight back despite having no political experience, setting themselves on a grassroots journey that will change their lives and their country forever. Netflix paid a record-breaking amount for the documentary: a whopping $10 million, Bloomberg reported. Other major players, including NEON, Focus, Hulu and Amazon also tried to buy the rights to the movie but Netflix eventually came out on top, The Daily Mail reported. And executives couldn't be more thrilled about the acquisition. The film was originally funded by a Kickstarter campaign and raised more than $28,000.